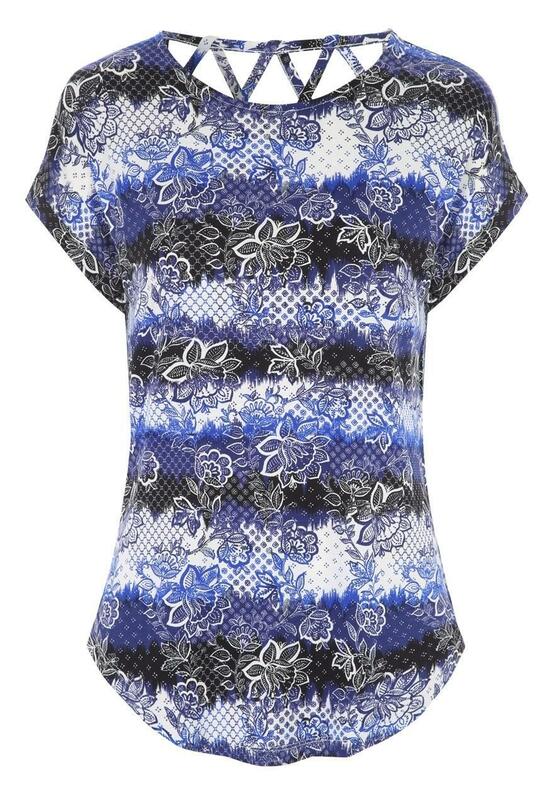 Mix up your collection of summer tops with this lattice back t-shirt. 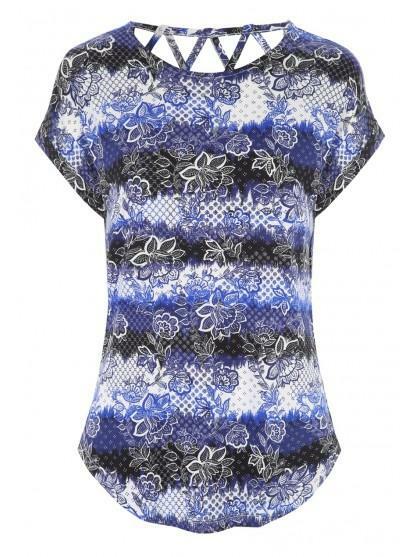 Featuring short sleeves, a rounded neckline, cross over back and all over blue floral print, it'll make a stylish addition to your wardrobe. Well made and very comfortable to wear.